Eli starts by welcoming you and demonstrates what the three different drum instruments (Phat, Solid, and Heavy) sound like, and gives an overview of the main elements found in their user interfaces. You’ll then learn how to make the beginnings and ends of fills and grooves seamlessly blend together, followed by how to sequence patterns and fills including individual multi-samples for adding in extra parts. You’ll then get 3 videos, one dedicated to each of the different drummer versions, Phat, Solid and Heavy, and then how to create a drum part from scratch for a singer / songwriter production. Wrapping it up, Eli demonstrates how automating the feel and individual kit piece levels at different sections in the arrangement enhances the nuance and realism of the overall drum part. See the individual tutorial descriptions for more info. 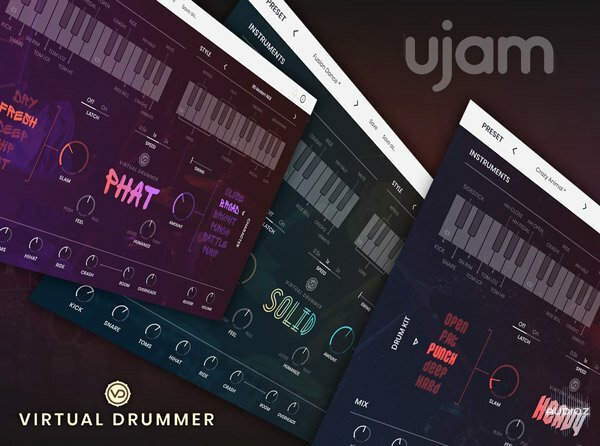 If you’re new to UJAM Drummers, or just want to know more about it before you dive in, look no further… Watch “UJAM Drummers Explained®’ today! Groove3 - UJAM Drummers Explained has been exclusively released on AudioZ by ilfsn who chose to ask not to post mirrors.